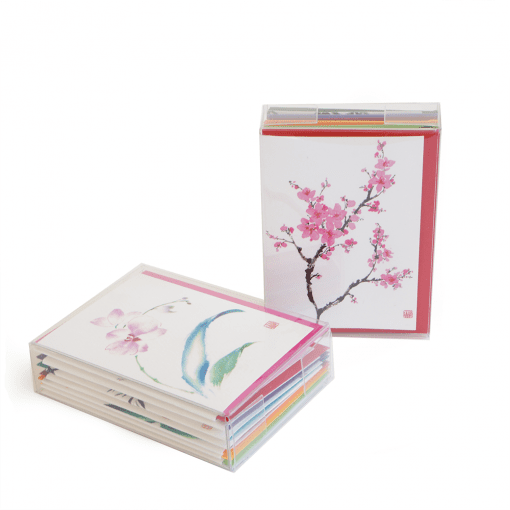 This is a set of 8 lovely assorted gift enclosures from Nan Rae’s Original Brush painting on Mulberry paper. 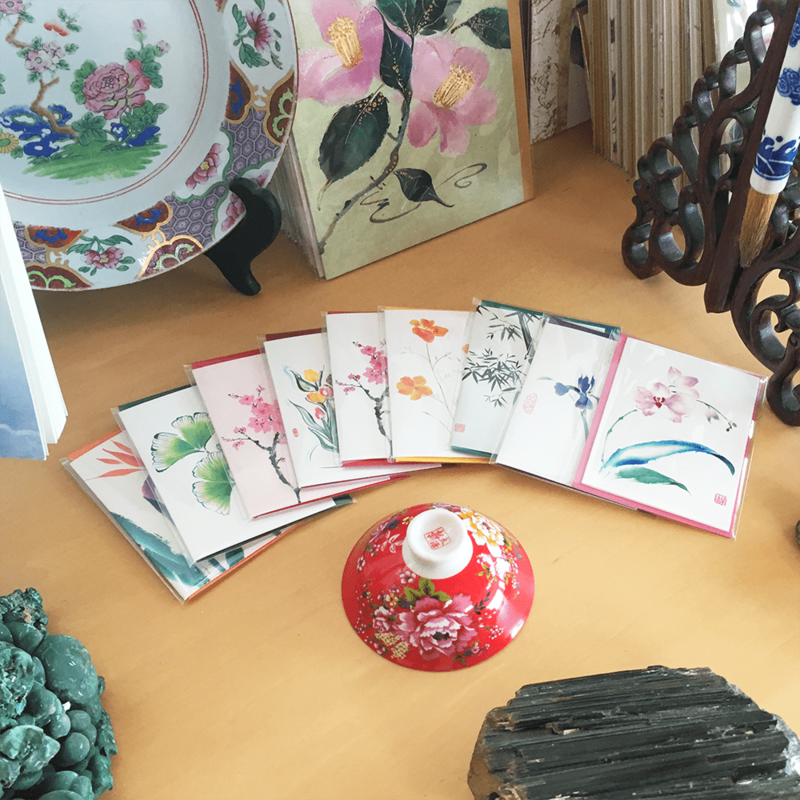 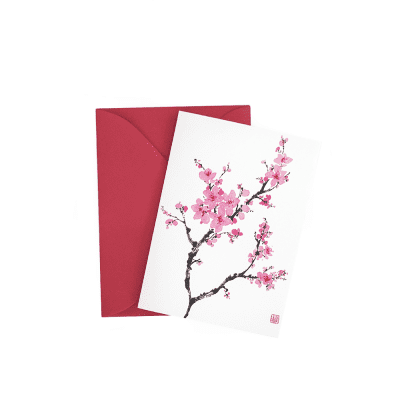 Cards are printed on fine classic laid paper. 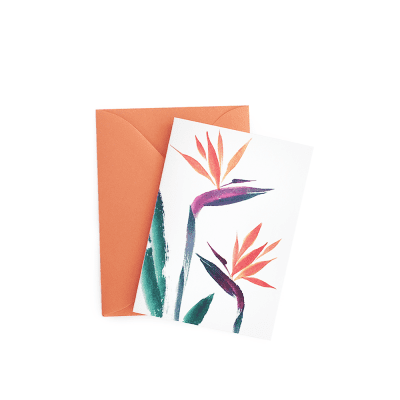 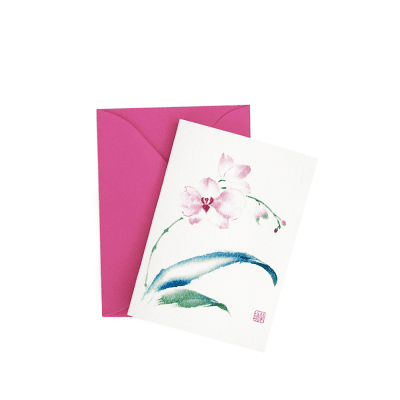 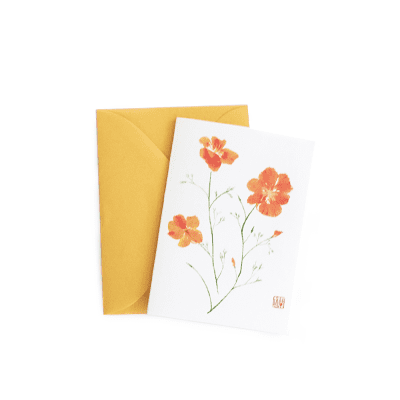 It comes with a colored envelope that has a smooth finish.